Coming November 3, 2015. A bucket list trip for the adventurous traveler. 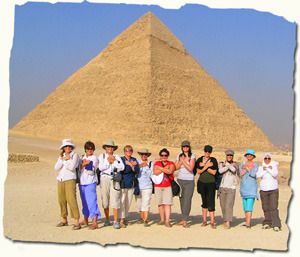 Venus Adventures, specialists in women-only holidays, is offering an Egypt Nile Cruise, Sahara & Jordan trip. Highlights of this 18 day journey include visits to the Pyramids of Giza, the Sphinx, the Valley of the Kings, Mummification Museum, and the Temples of Hatshepsut, Karnak, Luxor, Ramses II, and Neferatiti. Explore the lost city of Petra in Jordan and even float in the Dead Sea. A trip filled with amazing experiences.